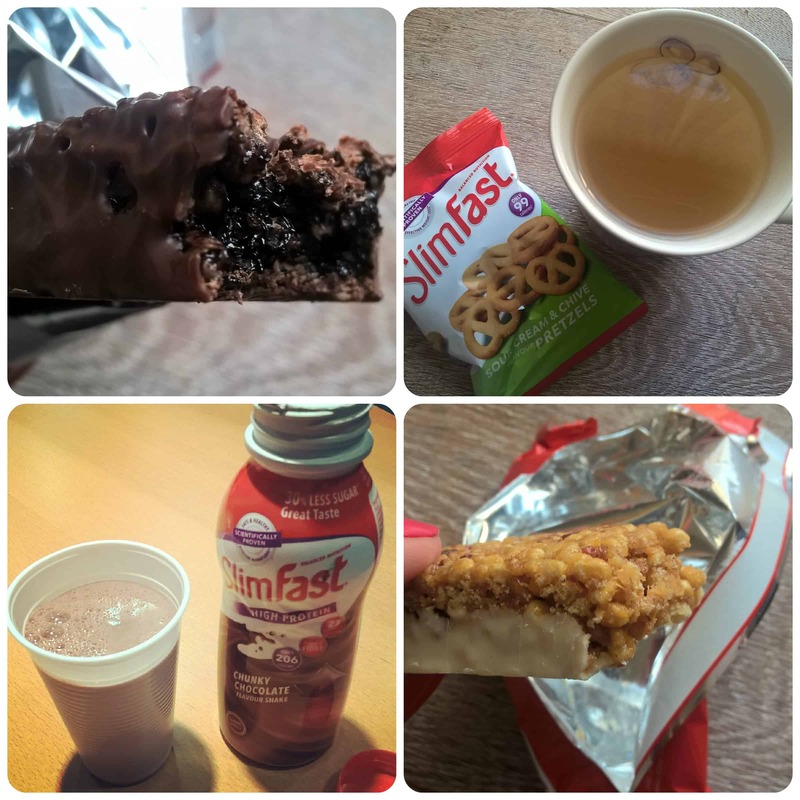 Slimfast is one weightloss plan I go back to again and again because for me it works. I like knowing what I am going to be eating during the day, I enjoy the shakes and I like the ready packed snacks which are easy to grab on the go. 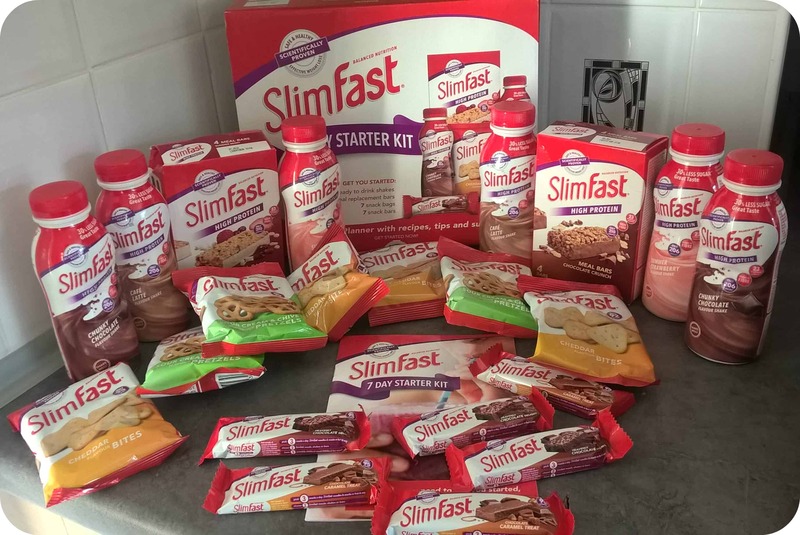 Slimfast have just relaunched their products along with a new image and some great new products which I am going to share with you and let you know what I think. Above you can see the newly launched 7 day starter box, a fabulous introduction into the world of Slimfast that comes with enough snacks and meal replacement products to last you a week along with recipe ideas for your evening meals. For anyone that hasn’t tried Slimfast before this is a great way to get introduced to the various products on offer and taste a variety of flavours. 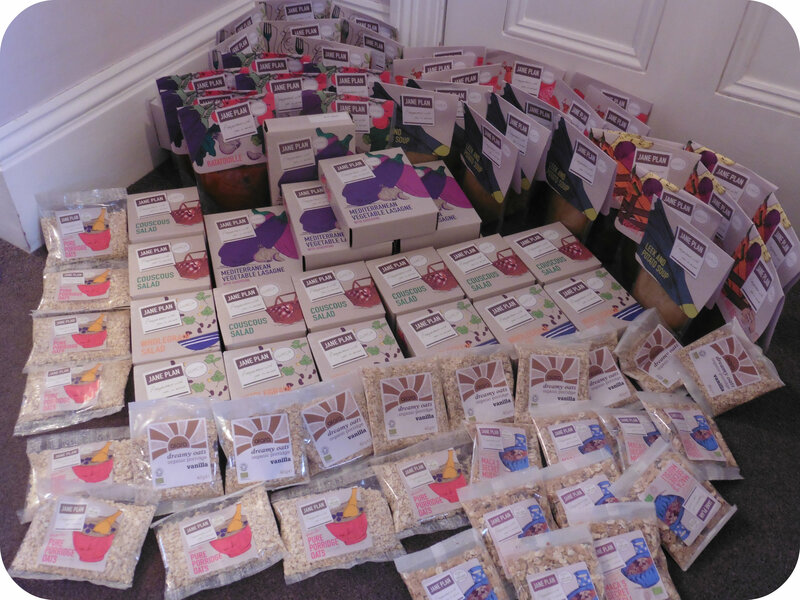 Included are a selection of ready made shakes, meal replacement bars and snacks, including crisp type snacks and chocolate bars. Personally I love the savoury snack bags of Sour Cream and Chive Pretzels or Cheddar Cheese Bites, they are just what you need mid morning to keep you going and replace a high calorie bag of crisps that I’d usually grab! The 3.2.1. plan allows you to have three snacks a day, two meal replacements (either a shake or meal bar) and one healthy evening meal. 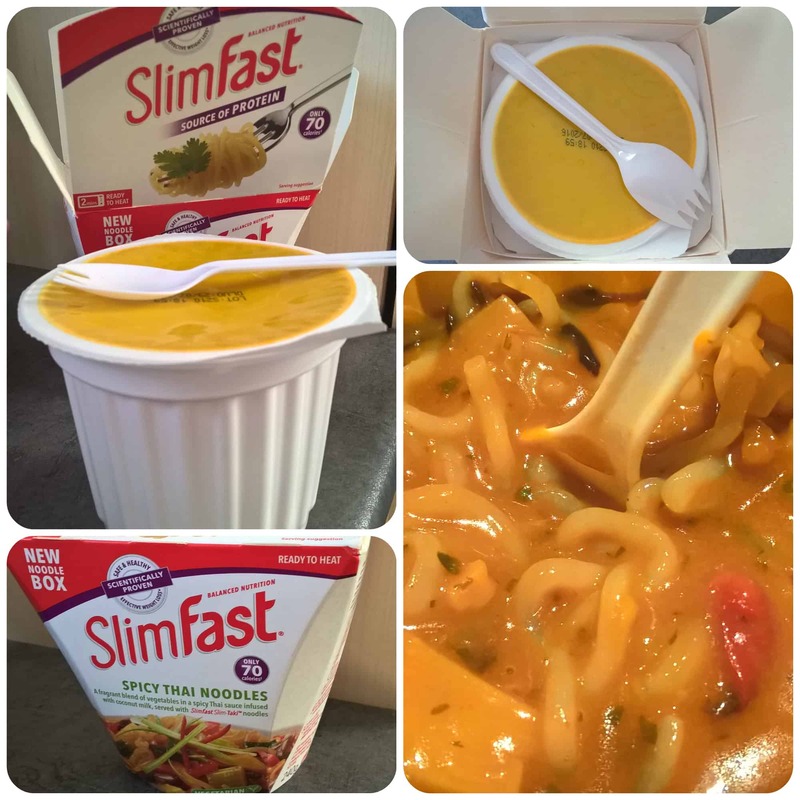 A new product to the Slimfast range are noodle boxes! The amazing thing about these noodle snack boxes are that all the flavours contain less than 100 calories with the Spicy Thai flavour containing just 70 calories. 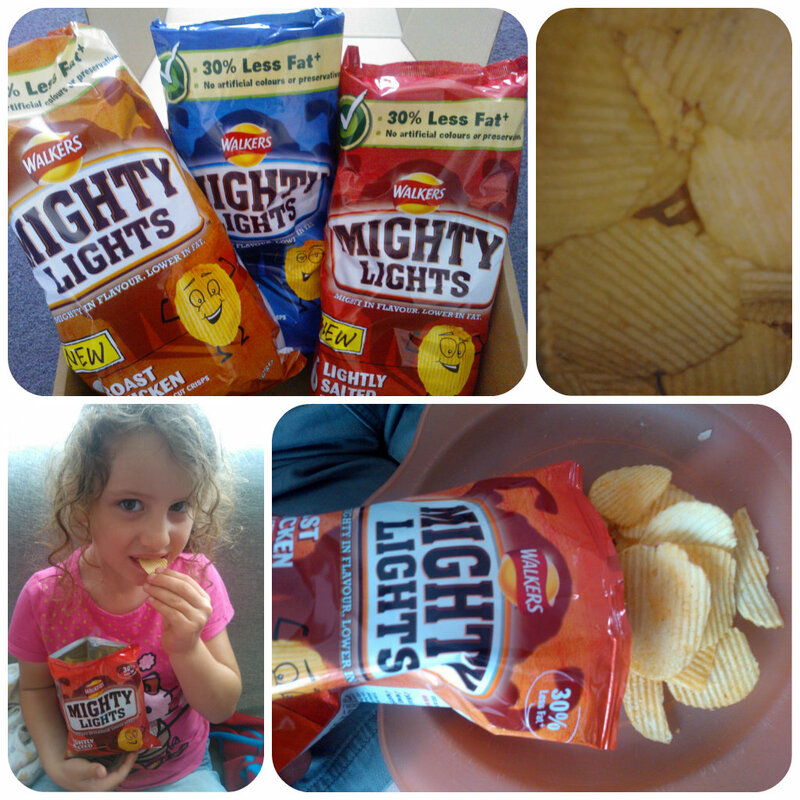 These can be replaced instead of any snack and are a great alternative if you are looking forward to a savoury snack. They come in three flavours, Chicken Tikka Masala (81 cals), Spaghetti Bolognase (76 cals) and Spicy Thai (70 cals) which is a vegetarian one. They are made with SlimTaki® noodles which are made from konjac, the Asian root vegetable that contains virtually no calories and zero fat and sugar. So what do they taste like? I have to say I was very impressed, they come with a thick, rich sauce and smell delicious. What I would never believe though is that there are just 70 calories in a box, that’s quite amazing and there is not much else you can eat for such a low amount other than a piece of fruit! I started the 7 day plan and find it really easy to follow. For me to stick to a plan I have to know exactly what I’m eating so I get all my snacks and meal replacements out the night before. You can eat other snacks instead of the ones provided and I often add a piece of fruit or low fat yoghurt into my day. 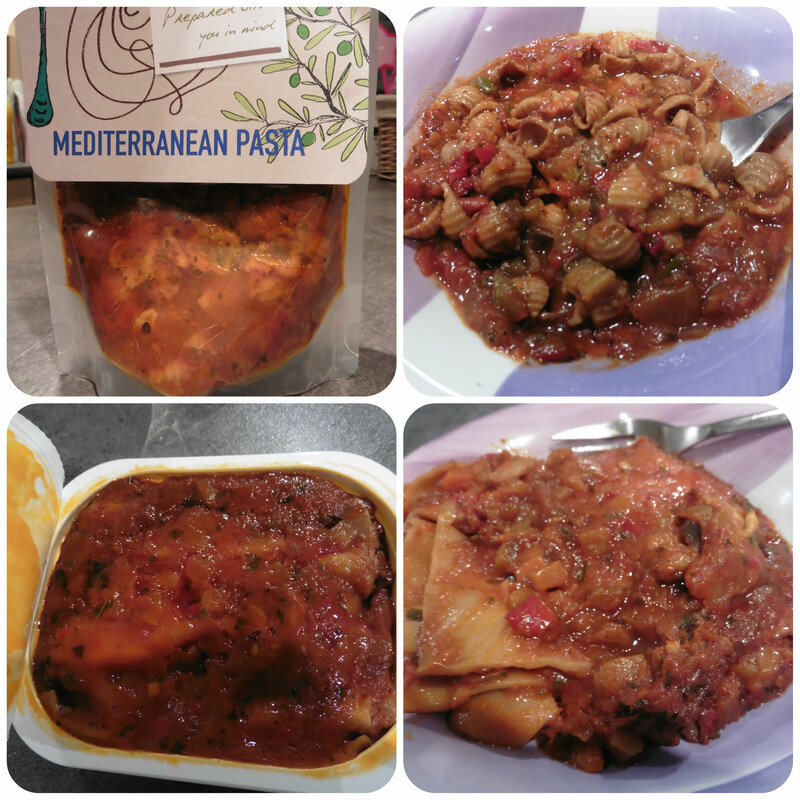 I also find it important to plan my evening meal and although there are some recipe ideas included in 7 day starter box, I did find that there are many more idea on the Slimfast website. Knowing what I am eating is half the battle of losing weight for me and being planned helps me keep on track and get the results. I lost 6lb in 7 days – yay!!! I do find that in the first few days of following the plan I lose a lot of water, especially if I’ve not been eating so well in the few weeks before. I know in future weeks I can only expect to lose around 2lbs per week if I stick to the plan but that’s good for slow steady weightloss that’s maintainable. I really enjoy the Slimfast plan as it allows me to eat food I like, a lot of the snacks feel like treats and a 600 calorie dinner at the end of the day feels quite generous. I add plenty of vegetables and it’s easy to fill full after eating a big plateful even though it’s low calorie. Mexican is one of my favourite meal choices and something we eat regularly at home. 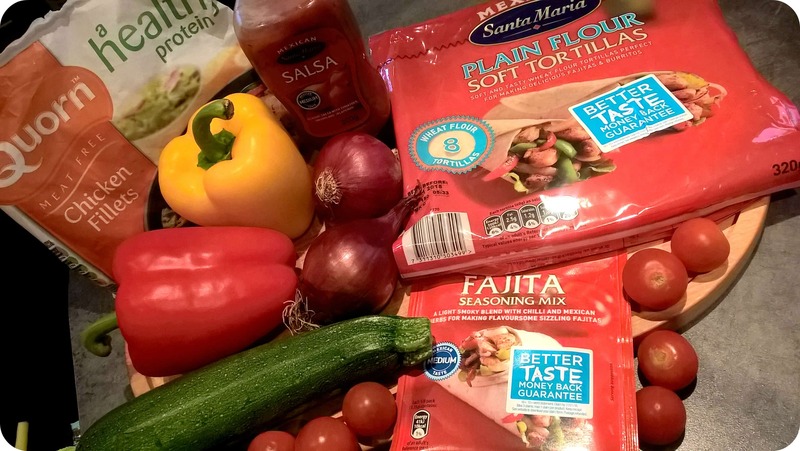 With the range of Mexican inspired store cupboard ingredients available from Santa Maria, you really can make up your meals simply and easily just be adding a few fresh ingredients. Being vegetarian I always serve vegetarian fajita’s. 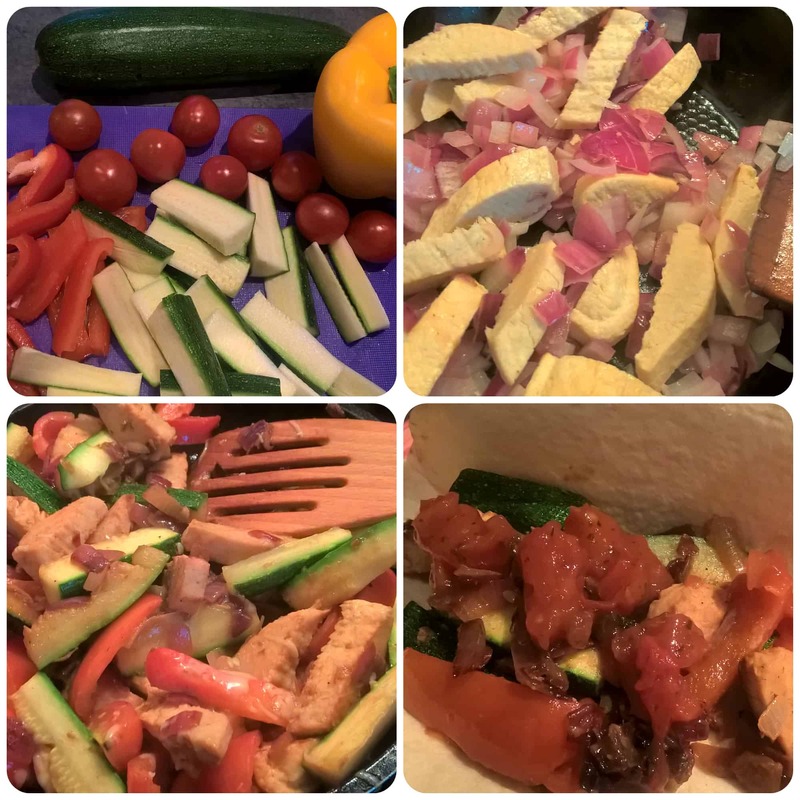 For tonights meal I am adding Quorn along side various fresh vegetables with my special ingredient being courgette which really helps fill out the meal and gives you a nice addition to the peppers, onions and tomatos. I’m also using Santa Maria wraps, Fajita seasoning and salsa which make it really easy to get that spicy Mexican flavour. After lightly frying the onion, I add the Quorn to brown off, then the other vegetables and sprinkle with seasoning, continuing to cook to until my kitchen is wafting in Mexican fragrances. 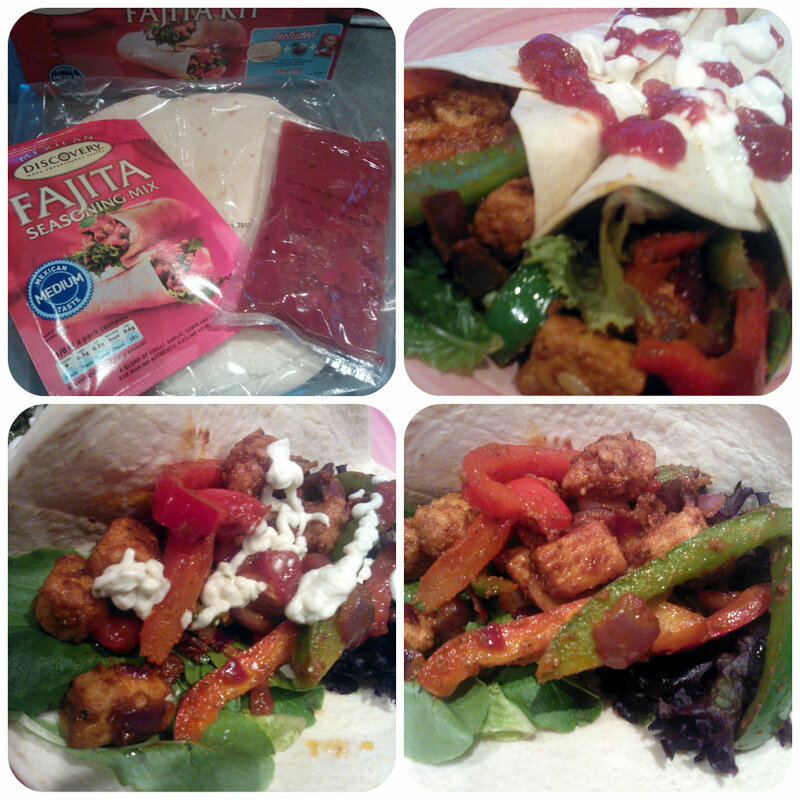 I like to serve my fajitas with a side salad to make the perfect meal, ideal for all the family on a Saturday night! Once served add a light sprinkling of cheese and some ground black pepper. 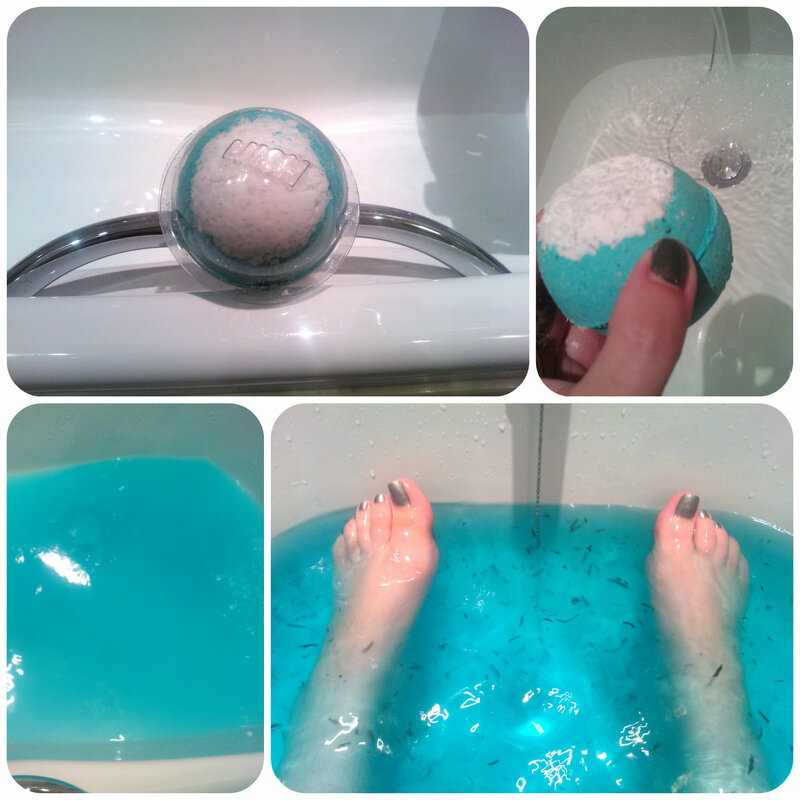 Tasty!! We were provided with Santa Maria products for the #TASTEsantamaria Fab Fajita challenge. 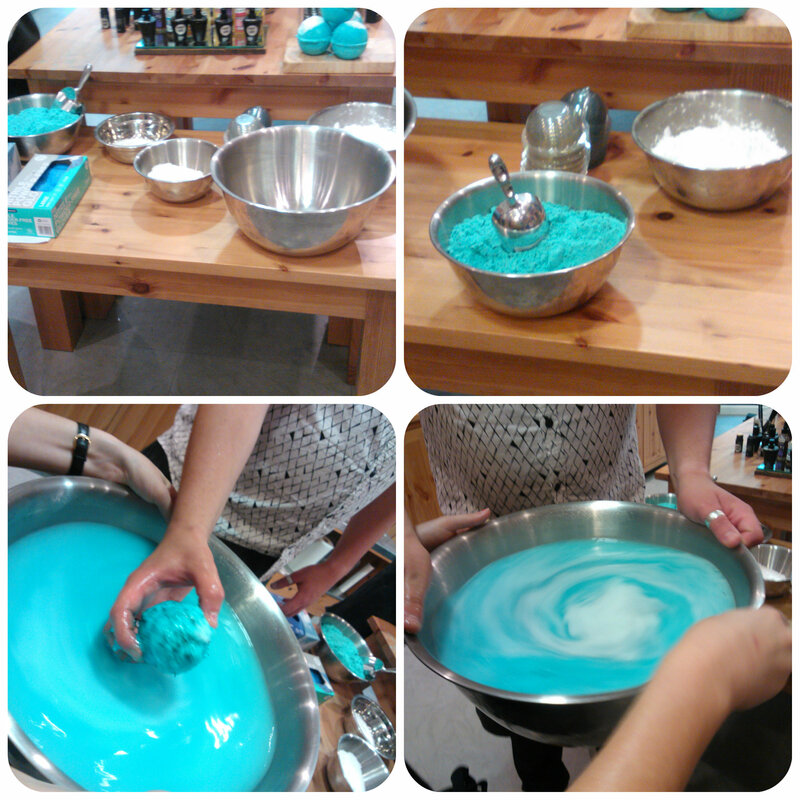 Nothing But. are a new, healthy snack that not only contains real vegetables but each pack contains 1 of your 5 a day portions of vegetables. 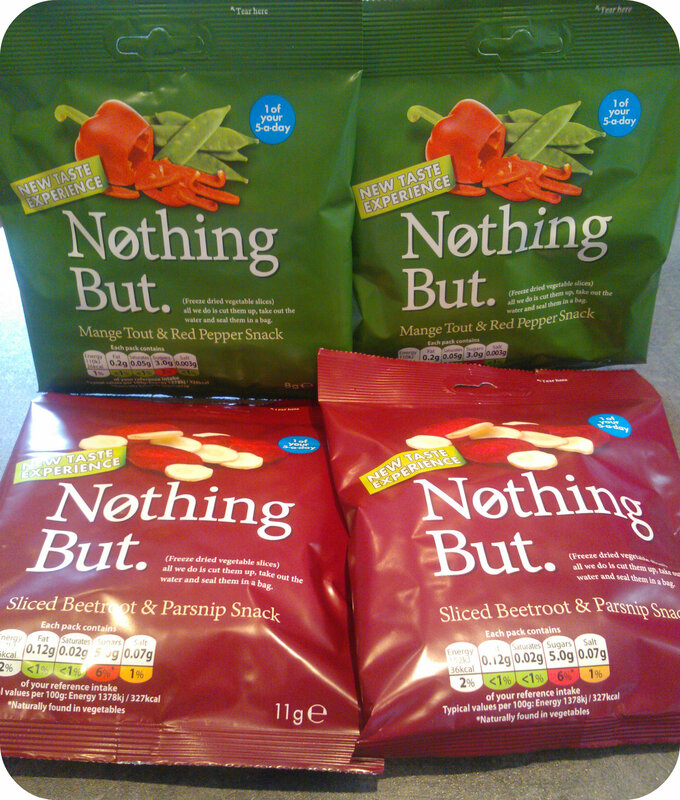 I was fortunate to receive a couple of packs of Beetroot & Parsnip and Mange Tout & Red Pepper flavours. I was really excited to try these for many reasons, I love vegetable snacks, I’m trying to follow a healthy eating plan and I’m vegetarian. 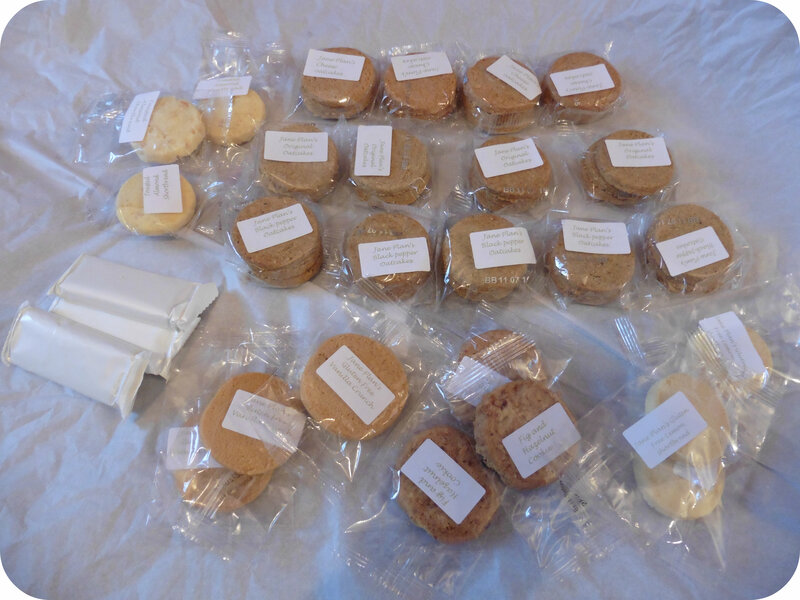 They are also suitable for vegans, are gluten free with no added fat, sugar, salt or preservatives. 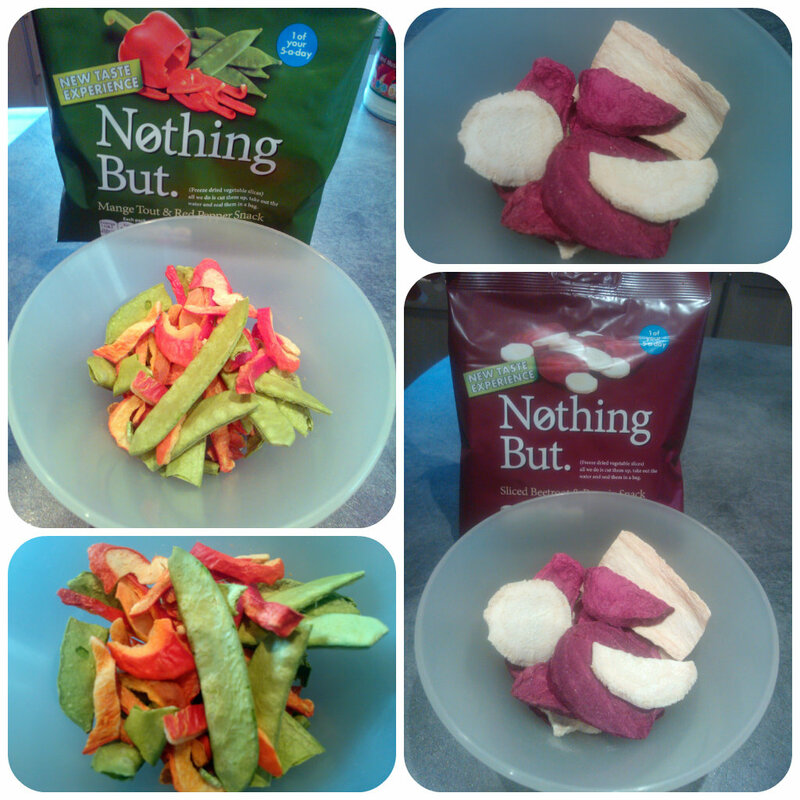 These are literally freeze dried vegetables in a packet with just 26 calories a pack for the Mange Tout & Red Pepper snack and just 36 calories for the Slice Beetroot & Parsnip snack. 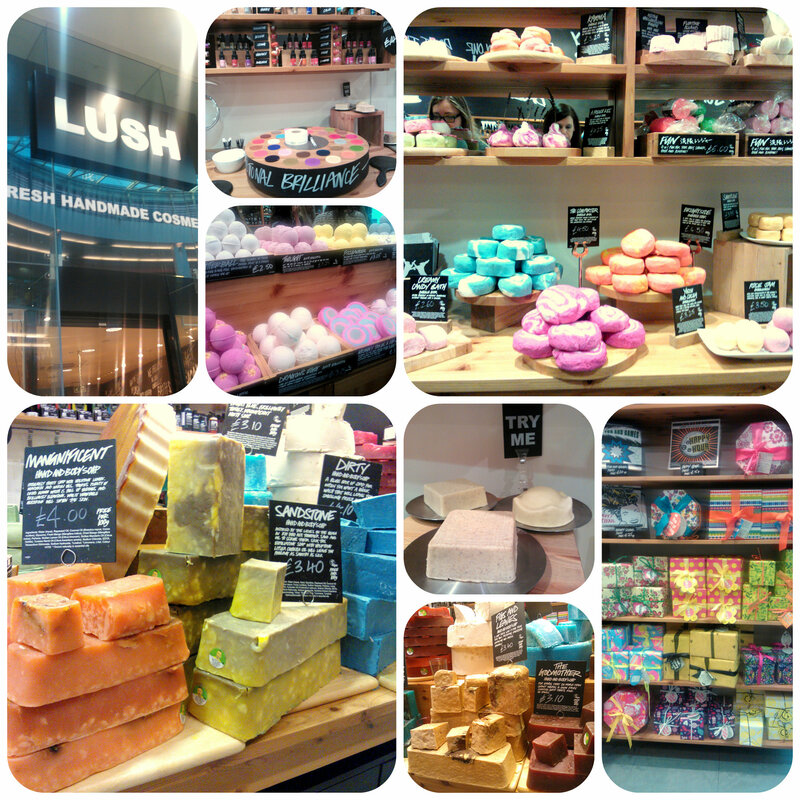 You can’t get better than that! I was amazed by the bright, vibrant colours of the vegetables, they looked crunchy and inviting. When you bite into them they are light as air, although the taste of the vegetable clearly comes through. I enjoyed these and think with them being one of your five a day and low calorie makes them ideal for healthy eating, although you have to bear in mind that they won’t be overly filling. I also would have liked to have seen a few more in each bag than there was. What I did discover though it that these make the perfect low fat accompaniment to houmous. I had some red pepper houmous in the fridge and dipped the freeze dried vegetables into it – absolutely divine!! It gave an added burst of flavour and for me is an ideal healthy, low calorie snack. Nothing But, for me, make a delicious snack with houmous and I’d definitely have this again. 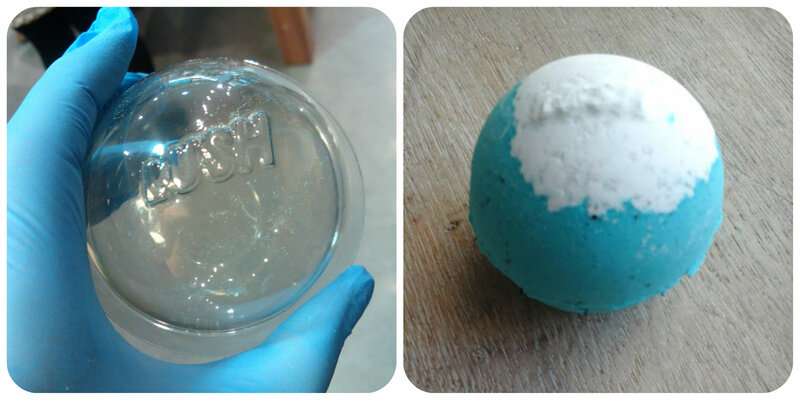 They are also available in another flavour, Pea and Sweetcorn which would be interesting to try. Cinco de Mayo is a Mexican festival celebrated with singing, dancing, fireworks and most importantly fantastic food. With celebrations happening on 5th May each year across Mexico and parts of the US, Discovery foods kindly sent us a bag of Mexican culinary delights to try out and help us celebrate the occasion. 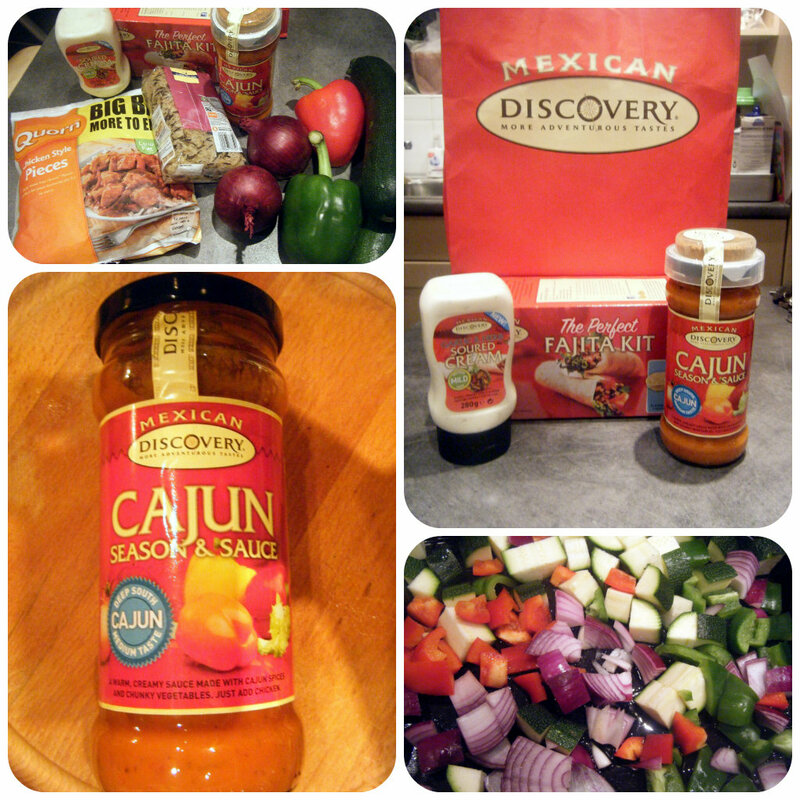 With Mexican being one of my favourite cuisines I couldn’t wait to get cooking. I decided to try the Cajun cooking sauce first and being vegetarian went for some lightly roasted vegetables covered in the seasoning then added the sauce and served on a bed of wild rice. 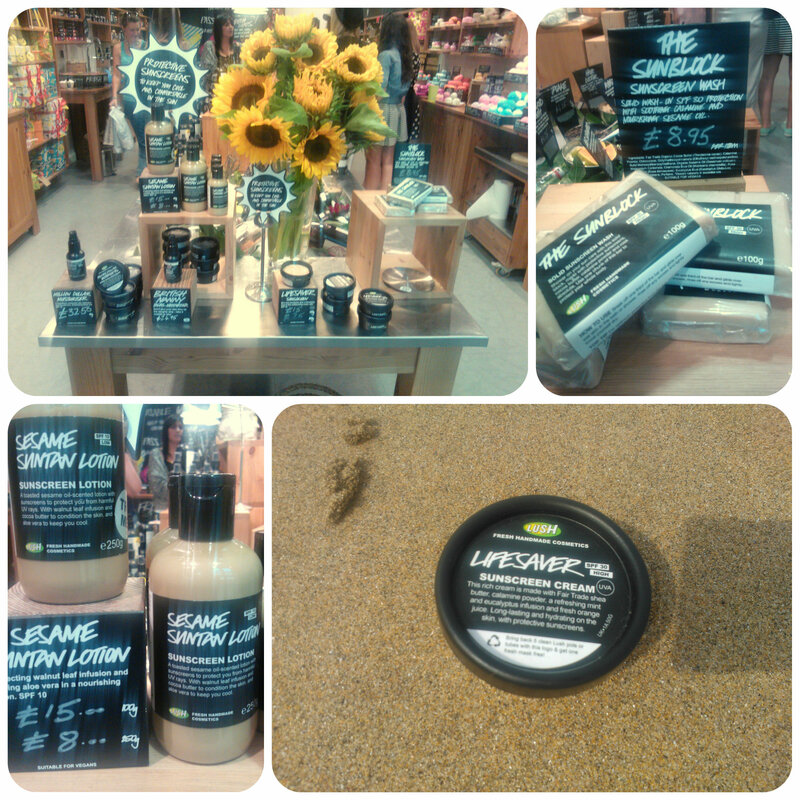 The Discovery Garlic and Sour Cream is a NEW addition to the range and comes in a squeezy bottle. 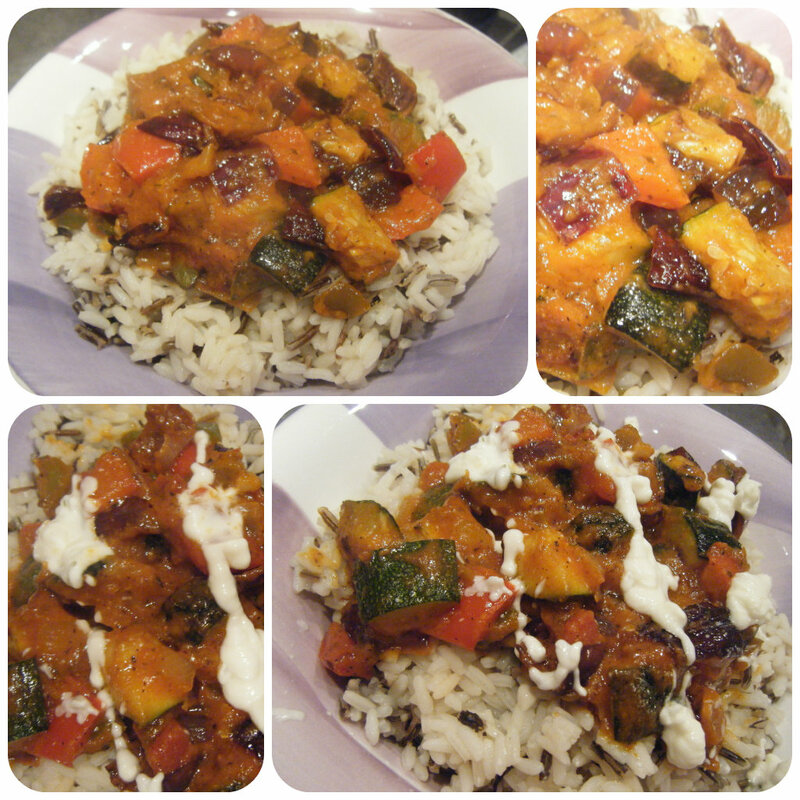 It’s suitable for vegetarians as well as being gluten and wheat free. The handy bottle can be stored in a fridge for up to 7 days once opened which gives you a few more days to use it than a fresh sour cream. We found it a handy, cooling topping ideal for hot dishes and I particularly liked the added garlic and herb as opposed to plain sour cream. Keen to try the other Discovery goodies we were sent, the next evening we decided to try the Perfect Fajita Kit which comes with flour tortillas, fajita seasoning and salsa. To this we added Quorn pieces, red and green peppers and some salad leaves and not forgetting a drizzle of Discover Garlic and Herb sour cream to cool down the spice. We found the spices in this the perfect heat for us and accompanied by the Garlic and Herb sour cream perfectly delicious. A thoroughly tasty meal that we all enjoyed.